How do you rebuild burned bridges or repair fractured relationships? Can you be the one who helps others to rebuild their strained or broken relationships? Remember, anger is not a sin, but it is also not a strategy. There is time to consider whether or not a relationship is salvageable or whether or not the bridge is best left burned. Ask yourself if the relationship was mutually beneficial to both parties or just to one? Was the respect reciprocal or largely one-sided. Were you doing all of the work in the relationship? Hey, welcome to Morning Mindset. 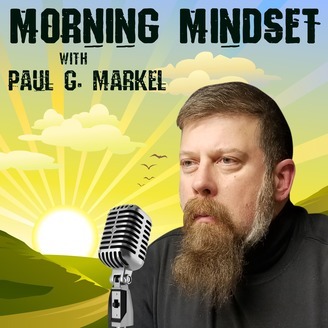 This is your host Paul Markel, of course you know that because you heard the intro, and I truly appreciate you joining me today for this show. Aaaaaaggghhh, so today’s topic. This may, hmmm… I don’t know if it’s gonna hurt your feelings, but it may bring up hurtful feelings, or feelings on anxiety, or what have you, but we are going to talk about Rebuilding Bridges, and that is repairing strained or fractured relationships. Now you may be thinking that I’m talking about men & women, husbands & wives, boyfriends & girlfriends and so forth, but it could be any kind of a relationship quite frankly. It could be a friendship, it could be a previously romantic relationship, it could be a relationship between you and a family member. Such as aunts and uncles and cousins and so forth, maybe your mother or father, maybe your kids. But it could be a business relationship. Business relationships often become strained and fractured, and sometimes the bridges get burned. *Stammer* If you’re going to be a mature adult, if you’re going to grow as a human being, every once and a while you need to take the time to consider, whether or not it is time to try and rebuild a bridge, or whether it is time to repair a fractured relationship. Alright, I have a personal story for you, and it’s a business story. I’ve had, I’ve been writing professionally for over 25 years now, and I have a lot of personal contacts in my field on the endeavor, which is the outdoor shooting sports, law enforcement, military community. When I started writing and became a very active writer, I had many relationships with manufacturers and people who, people who made products for well, like-minded individuals. Like I said, the outdoor shooting sports, law enforcement, military type world, and what I found is that as my career grew, and then changed, my business relationships would change. For instance, when I was writing very actively for outdoor shooting sports magazines, at some point I was having between 40 & 50 articles per year published, so I was generating, what we called in the industry “A Lot of Ink”. When I started generating a lot of ink, I had people who would call me up, or they’d send me emails, or send me notes, or they’d see me at shows and they’d be like “Oh hey Paul, did you know that we’re working on This, or would you be interested in talk, or writing about-” specifically writing about this, taking pictures of this, because when I started writing I also became my own photographer, and took thousands upon thousands of pictures and so forth. Well things changed a little bit and I went off on my own, and developed my own television channel and my own radio show and… so I was no longer working for the regular publishing houses. What I found was, some of the people who wanted to be my best friend or wanted to be good friends with me, when I was generating a lot of ink for publishing houses. When things had changed, they weren’t so interested in being my friends anymore, and it the time it was kind of, I don’t know if it was depressing, but it made me kind of sad, to realize that there were a good number of people in the in industry that I thought were friends, they weren’t really friends they were more acquaintances, they were only interested in being my friend or acquaintance as long as I could get them, like I said in the industry we call “Free Ink”. If I could give them free ink, or free public relations and PR, they were all about being my friend, and when things changed, I needed them to support me in my new project, they weren’t so interested anymore. That’s something that I… when you have a relationship that was strained, fractured, broken, the bridge was seriously burned, one of the things you have to ask yourself was, is that relationship a mutually beneficial relationship to both parties, or was one of the parties getting more out of the relationship than the other? Was respect reciprocal? I know that’s a lot of R’s & S’s & C’s right there, but was respect reciprocal, or largely one sided? Were you doing most of, or all of the work in the relationship? Were you investing the lion’s share of the effort in the relationship and it’s like I said, this could be a romantic relationship, a personal relationship, a business relationship. Before you decide, “It’s time to repair that broken relationship”, you maybe need to take a moment and say “Well, maybe the reason that that person and I are no longer friends, or may the reason that that person and I no longer work together or have a business relationship, is because I was putting in all the work, the time and the effort, and as soon as it became time for them to put in work, time, effort, as soon as it became time for that person to invest in the relationship, they no longer wanted to be involved in it. So that may not be a relationship that’s actually worth repairing, it goes back to that while Gut-Check time, ya know Honest Self Assessment. Now you may find when you do the honest self-assessment, that the relationship you had that is now broken or strained, well it was broken or strained because of ego. Because of your ego, or because of someone else’s ego, or a product of the two. Maybe your ego took you in one direction and their ego took them in another direction, it could be that there was some animosity or some anger there. Now remember, Anger is not a sin, as we discussed previously, but it is also not a strategy. Being angry all the time or being angry at someone is not a successful relationship or business strategy. So once you get to that honest self-assessment, and the reason I am talking about this right now, is because I have just returned from a trade show, a convention, and I saw a lot of people there who I’ve known for upward, going on 25 years. Matter of fact there are some people, very few people that I’ve known for going on 30 years, and when you go to these shows, you see these people who are acquaintances and friends, and you see people who you may have once had a good, productive relationship with, and you think to yourself, you realize “hm, we haven’t done business together, we haven’t talked or communicated in a year, or two or three, or however long it’s been”, and that’s a good time to ask yourself real quickly, why is that? Don’t tell them what they need to do to rebuild it, ask them what you can do to rebuild it. Now there may be nothing, but let’s face facts. There are some relationships out there, if you’re honest with yourself, if you think about, you might say “You know what, the reason that it didn’t work or it’s not working, is because I let my personal feelings and my ego get in the way. I hope that you can savage one fractured or broken relationship, that you may actually be able to build a Bridge that you set fire to many moons ago. Alright Ladies & Gentlemen, go out there and see if you can rebuild one bridge. 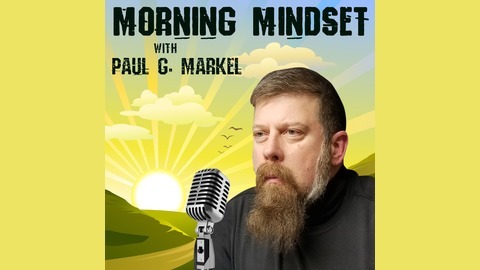 This is me Paul Markel, reminding you that all of my books, if you’re interested in learning more, all of my books are available on Amazon as paperbacks, or you can get them on the Kindle App as Kindle versions, how cool is that? I know a lot of you guys like Kindles, thank you to everyone who has left a review of this on your favorite podcast player, whatever that happens to be, and to everyone who has shared it. If you haven’t shared it yet, why not? Don’t be greedy man, you know there’s at least one person in your life who could use this information. I’ll talk to you again, real soon.